I think one reason I'm a writer is so I can revisit all the roles I coulda-woulda-shoulda had in life. I began watching winter Olympics in 1988 and was at an impressionable age when, due to changing of schedules, we got to have winter Olympics in 1992 AND 1994. Which is sort of like having Christmas in December AND July. I wanted to be Bonnie Blair. Alas, I lived in a place without access to ice or coaches or tonz of money, so I took to running laps in my basement in case it would help. My family ended up moving. That SAME YEAR, Salt Lake City won the 2002 Olympic bid. 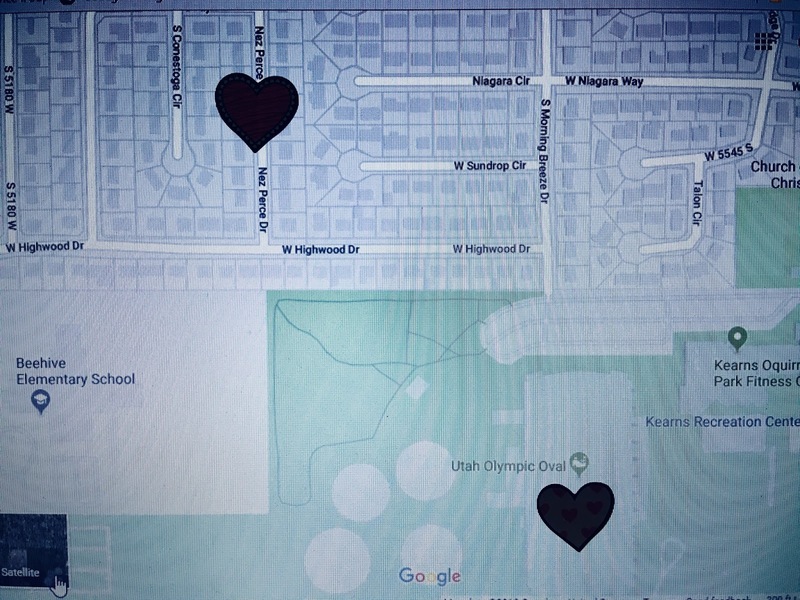 Would you like to see where my old house is in relation to the Salt Lake Olympic Oval? I'll show you anyway. I used to stare past my school fence toward the kidnapper field and discarded couches. I used to get into huge trouble for sneaking into the kidnapper field to go exploring where Olympians now skate every world cup season. People living in my old house can hop the fence to go skating on OLYMPIC ICE if they want to. They can go to world cup events for free and watch Bonnie Blair hand out the medals. I could have had legs that look like THIS!!! Either way, I totally missed out. Instead, I had to go live next door to these people. I didn't try to become one of them. I fall down on skis. 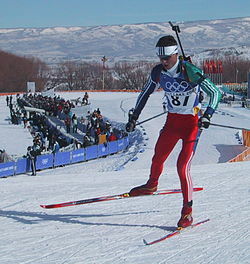 My uncle was ranked nationally in summer biathlon (not an Olympic event) but couldn't do winter. When he tried, he too kept falling on skis and bonking his head with the rifle. So I guess I'm not the only one better off watching the Olympics on TV. At least I can write about it. 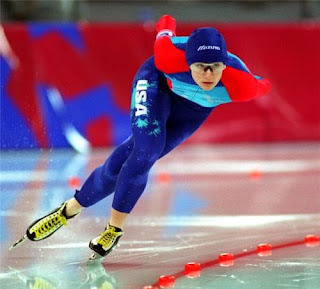 What Olympic events do you like? If none, that's fine, but tell me why! Ah, if only you'd taken XC skiing in 8th grade with Mrs (Miss?) Piper! You would have had your chance! But the darn Olympics came too late for us to reap the rewards, anyway. And, I wanted to be Bonnie Blair, too...Or Kristi Yamaguchi.